We are specialists in free forum hosting services using clustered technology powered by one of the largest hosting organisations on the internet. 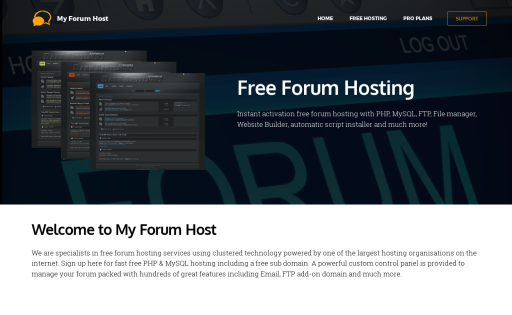 Sign up here for fast free PHP & MySQL hosting including a free sub domain. A powerful custom control panel is provided to manage your forum packed with hundreds of great features including Email, FTP add-on domain and much more.